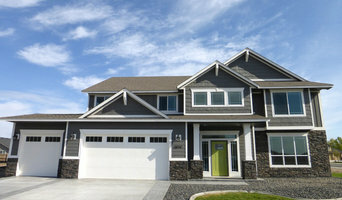 Custom Montana Home Builder, Building Dreams into Homes for 25 Years! 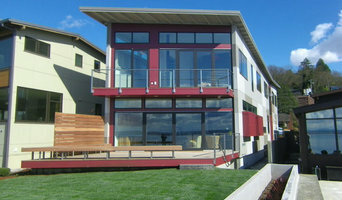 Seattle Area General Contractor Winner of Best of Houzz 4x! Signature Custom Homes is a family company that believes the true art of designing and building a custom home starts with understanding the people who are going to live in it. Every home we’ve built since 1987 has been inspired by a passion for creating a place of enduring quality and style that someone would love to call home for life. People come to Signature Custom Homes seeking an experience that is as comfortable and personalized as the home they envision. Our highly skilled, creative and conscientious team listens carefully and speaks honestly to ensure a clear and enjoyable process from design through construction and support. Integrity and respect are the cornerstones of a successful relationship between home buyer and home builder. We build where we live, and thrive on the feedback we get from our clients and neighbors. Our greatest reward is when people tell us how they love the home we built for them more and more every day. Signature Custom Homes has a long history of building quality and value into every detail, from flowing, functional floor plans to premium features and finishes that reflect each client’s own style and way of living. We are inspired by our colleagues and have a proud record of fostering a nationwide community of collaboration and excellence that benefits us all. We value the curiosity and courage it takes to evolve the way we deliver value through forward-thinking use of materials and techniques that provide energy efficiency, ease of maintenance and timeless charm. We are not a high volume builder trying to be everything to everyone. Each house and each client is unique and special to us. The joy of transforming people’s dreams into a home they love is why we do what we do. At Signature Custom Homes, we know that there’s nobody quite like you, and there’s no place like yours. 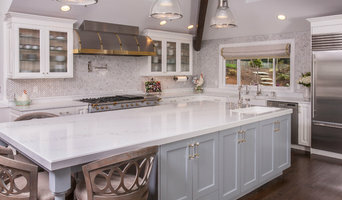 *Authorized StarMark Cabinetry Dealer* Since 1989, Joe and Judy Gates have been building and remodeling homes in Kitsap County and the surrounding areas. Whether building a new home, remodeling, or additional projects, we take a hands on approach to every project we accept. Joe Gates Construction Inc.'s commitment to their clients is to provide you with a rewarding, positive experience. To create a project built specifically to meet your own unique needs, all while providing education and assistance throughout the process. Joe and Judy Gates along with their experienced staff strive to provide a product of value in an atmosphere of cooperation and integrity while dealing fairly and honestly. Along with exceptional service, we wish to provide personal attention, not just in building your home or remodel, but in building a relationship with you based on trust and mutual benefit, proving our spoken word is better than anything we can put in writing. Authorized StarMark Cabinetry dealer. Un expert en maisons à ossatures bois peut vous aider dans la construction de votre maison en bois, la réalisation d’un appentis ou la fabrication d’un chalet en bois. Si vous voulez trouver un constructeur Seattle, WA pour faire bâtir une maison neuve ou un promoteur immobilier sur Seattle, WA, lisez ces quelques astuces et conseils. Quel est le rôle d’un constructeur de maison individuelle dans la construction de ma maison sur Seattle, WA ? Quel est le rôle d’un promoteur de maison sur Seattle, WA ? Comment choisir un constructeur de maison ou un promoteur sur Seattle, WA ? 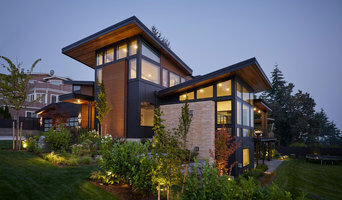 Pour trouver un constructeur de maison individuelle ou un expert en promotion immobilière sur Seattle, WA, affinez votre recherche dans la section « Trouver un pro » par ville ou par nombre d'avis parmi les constructeurs de maisons sur Seattle, WA. Nous vous invitons à regarder des photos de maisons construites par un constructeur de maison qui a travaillé sur des projets similaires au vôtre.